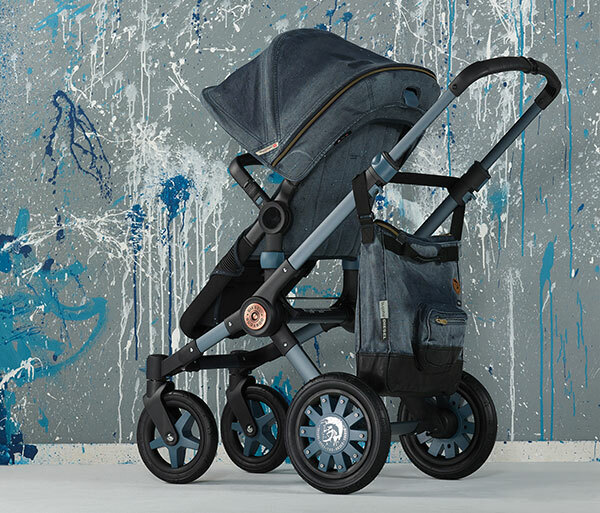 What happens when a Babyology pram favourite, Bugaboo, collaborates with the famous denim brand Diesel? We have a whole new must-have denim staple to step out onto the street with, that’s what. Just like your favourite pair of jeans, the Bugaboo by Diesel Denim is destined to be both a fashionable and comfortable ride. Earlier this year, Diesel and Bugaboo gave us their military inspired Bugaboo, then last month this pram powerhouse launched locally their latest collaborative project, the Bugaboo by Diesel Denim, where kids were invited to splash a bit of paint about while parents – including us Babyology mums – marvelled at the pram. 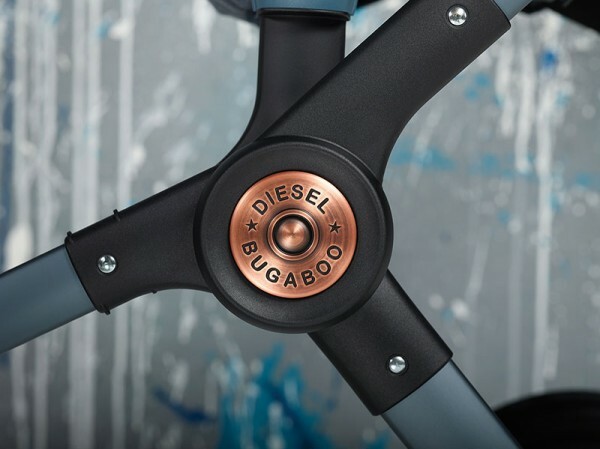 You might think you’ve seen this Diesel-Bugaboo collaboration before and you’d be right – we gave you a sneaky peek when we auctioned a Bugaboo by Diesel Buffalo, raising funds for The Hunger Project! 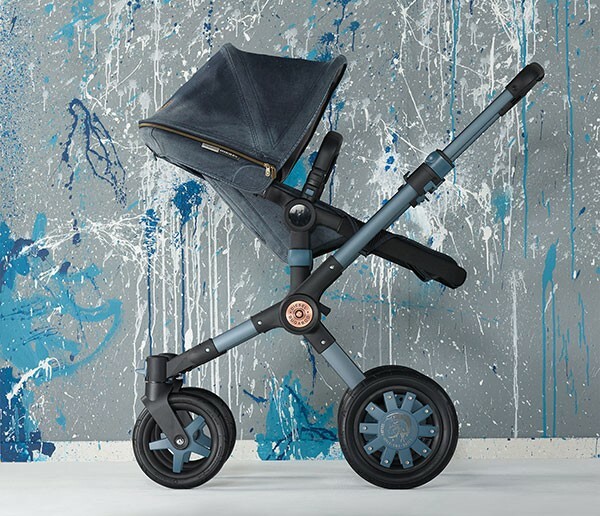 No detail has been spared in the design of the Bugaboo by Diesel, it positively parades the signature street style that is Diesel Denim. 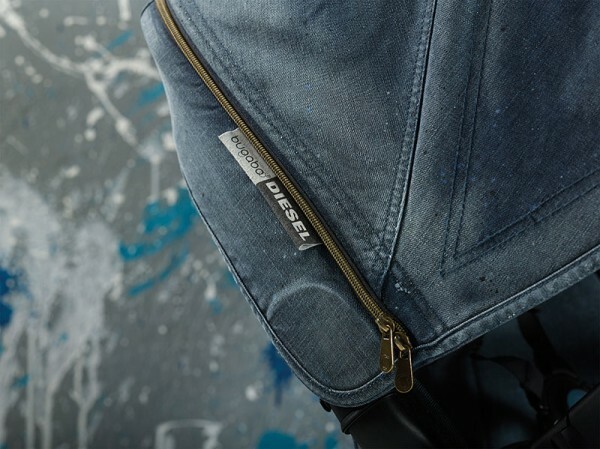 The gorgeous washed, worn and weathered look denim is dotted with all the characteristics you’d expect to see on your favourite pair of Diesel jeans, including top stitching, pockets and custom logos. 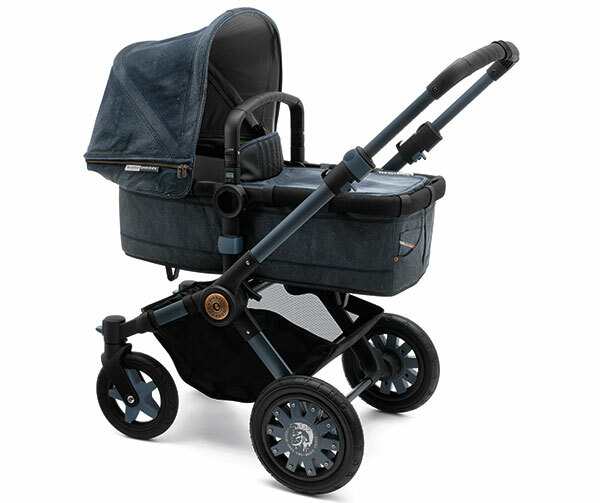 And the style doesn’t stop with the denim, the fabric is perfectly highlighted with contrasting copper coloured sun canopy zips, black leather look seat and handlebar details plus that stunning – and eye catching – rivet look hardware detail at the stroller joint cap. The whole look is brought together by the amazing blue chassis and matching wheel rims proudly displaying the Diesel logo. A Bugaboo Donkey by Diesel Denim Tailored Fabric Set and Bugaboo Donkey Sun Canopy is available, while the go-anywhere Bugaboo Buffalo has been given a Diesel makeover and boy, do they come up a treat. You can complete the look with a coordinating Bugaboo by Diesel changing bag ($239.95), we’re all in favour of double denim after all. 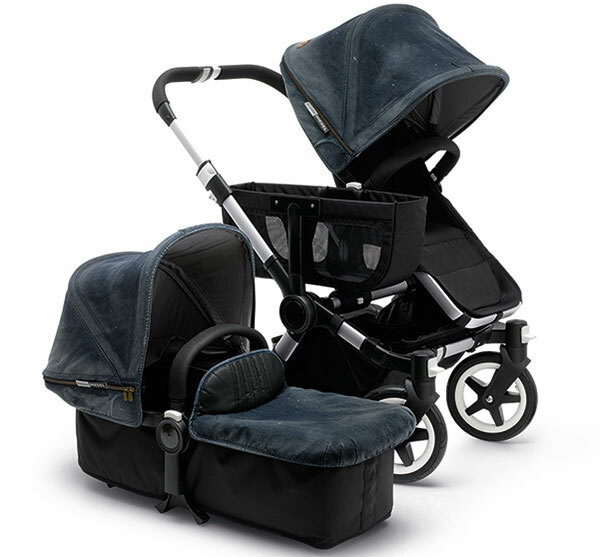 Bugaboo Buffalo by Diesel Denim is $1,889 and if you want to makeover your Bugaboo Donkey, the Tailored Fabric Set is priced $214.95 and the Sun Canopy, $139.95. Order direct from Bugaboo.